Celebrate an unforgettable Valentine’s Day with your loved one at tenor Nico Darmanin’s upcoming big band swing concert in the magnificent Grand Salon of the National Museum of Archaeology in Valletta on today, tomorrow and on Saturday at 8pm. 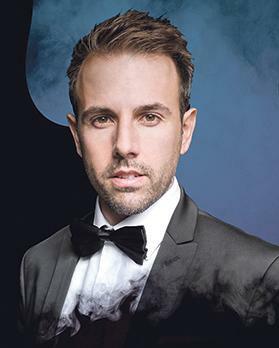 The concert features a repertoire of romantic music from the golden age of swing and jazz, immortalised by legends such as Mario Lanza, Nat King Cole and Frank Sinatra. Darmanin will be accompanied by the acclaimed Big Band Brothers and singer Jasmine Abela. Darmanin has performed at the Royal Opera House in London, the Welsh National Opera, Scottish Opera, and most recently made his debut at the world famous Glyndebourne Opera House. He has also just launched a new video to promote the Unforgettable concert – offering a tantalising taste of what the concert has to offer. Tickets are available from www.ticketline.com.mt.